Today’s post is supposed to cover October, but since it’s almost December we’ll just count this as the October/November post. Q: What am I making this year? Q: What are we doing for the kids? First, what am I making this year? I’m honestly not 100% sure. In the past, we’ve worked together as a family to make gifts for our extended family members. I’m thinking this year we’ll make more beeswax candles (they were a huge hit at Thanksgiving), a jar of hot chocolate mix, and maybe some homemade marshmallows or cookies. I was also thinking about purchasing a cleaning kit from The Optimist for each family, or a few items (like soap and body lotion) from Luminance Skincare. I need to sit down and decide what’s possible in regards to budget and time. As far as our kids go, we started a new gift-giving tradition a couple of years ago. A tradition that focuses on experience and family togetherness gifts versus material stuff (AKA: purchasing all the toys). Last year, we gave the kids a book about Michigan and told them we were going to Michigan over the summer. That was their Christmas present. This year, we’re going to take the kids to Iceland (over the summer; we found a great deal on airplane tickets). I’m planning to purchase a travel journal for each of them, along with a couple of books about Iceland. We’ve given trips (which also combine as our family vacation) because we love traveling and the kids love traveling. Plus, trips are a family gift, which means this is also Mom and Dad’s present. Other ideas, include: zoo passes, membership passes to a local attraction, cooking classes at home (could also include a gift card to the bookstore to pick out a couple of cookbooks and an apron), a camping trip, a pottery or painting class, a family road trip (it doesn’t have to be a long trip, even just a day trip to a cool place), a coupon book featuring your child’s favorite activities (good for one family outing a month to the local arcade, laser tag, bowling, an ice cream shop, etc. ), art and craft supplies, new (board) games to play together (and maybe some treats to enjoy on game nights), tickets to a game, a Lego set the family can build together, etc. The are so many possibilities! Our main goal behind this tradition is to encourage togetherness and new experiences versus amassing more stuff. This doesn’t mean we can’t/won’t gift a couple of needed items (a pretty new dress or a set of Legos). The goal isn’t minimalism or the elimination of things; rather, the goal is intentionality and thoughtfulness. As far as gifts from extended family members go (all the toys), we have a rule: one thing in, one thing out. 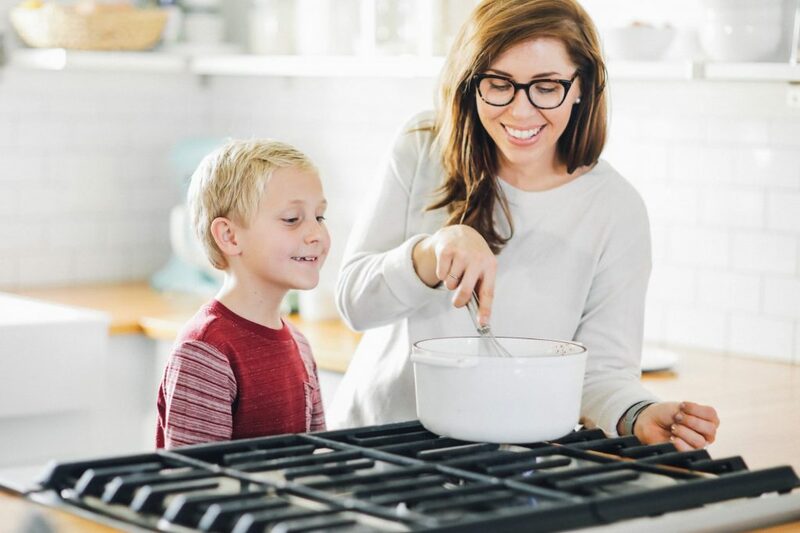 When we bring a new thing into our home (a new dress, a new toy, a new book, a new kitchen item), we donate a similar item to avoid the clutter trap. At this point, the kids are really good about this rule. When they choose to keep a new toy, they need to donate a toy they don’t play with anymore. The toy served its purpose, and now it’s time to let someone else enjoy the item. Also, by February it’s easy to notice which toys are actually played with and which toys aren’t. The not-so-popular toys (the toys sitting in the toy bin for weeks without being touched) go in a donation bin (when the kids aren’t around). The bin sits in the garage for a few weeks. It’s very rare for the kids to even notice that the not-so-popular-never-played-with toys are gone. After a few weeks (a buffer time), they are donated. This rule has helped bring peace and simplicity to our home. It’s curbed the clutter, which means we spend less time cleaning up and more time doing what we love, with the things we love, with the people we love. Clutter takes a huge toll on our lives, and it’s easy to let Christmas be a gateway to filling our homes with more clutter. And that clutter eventually turns into more stress. I’ve tried a number of “more natural” shampoo options over the years, and very few have impressed me. 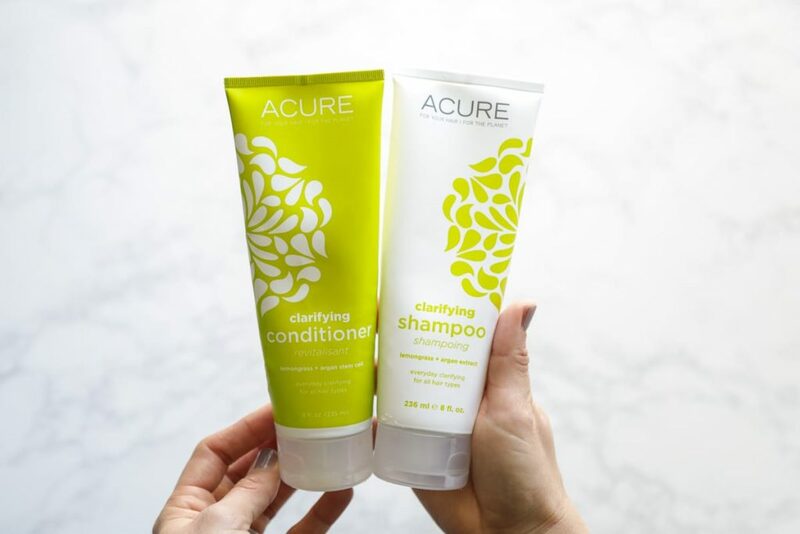 I recently tried the Acure brand, specifically Acure Clarifying Shampoo and Conditioner, and I’ve been impressed with the results. The shampoo and conditioner are easy to find (a huge plus), the ingredient list is clean, and the products work. I’ve been purchasing the shampoo and conditioner at Whole Foods. 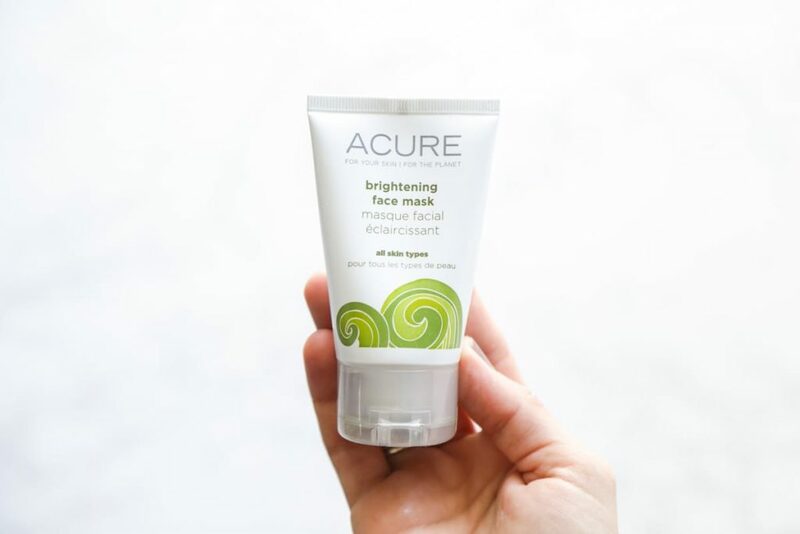 If you’re looking for an easy-to-find, store-bought face mask, this one is lovely. I picked this up at Target during our evacuate-from-Irma trip in September. The stress was getting to my skin (hello random breakouts) and I didn’t bring any clay or face mask products with me. This mask was the perfect solution. You all know that I’m in love with Luminance Skincare. I can’t say enough good things about this small company. They, in my opinion, are doing everything right in terms of natural ingredients and products. If you don’t want to make skincare products, I highly recommend checking out this company. And no, they don’t pay me to say this. I pay full price for the products. In fact, I don’t even think they know I have a blog. 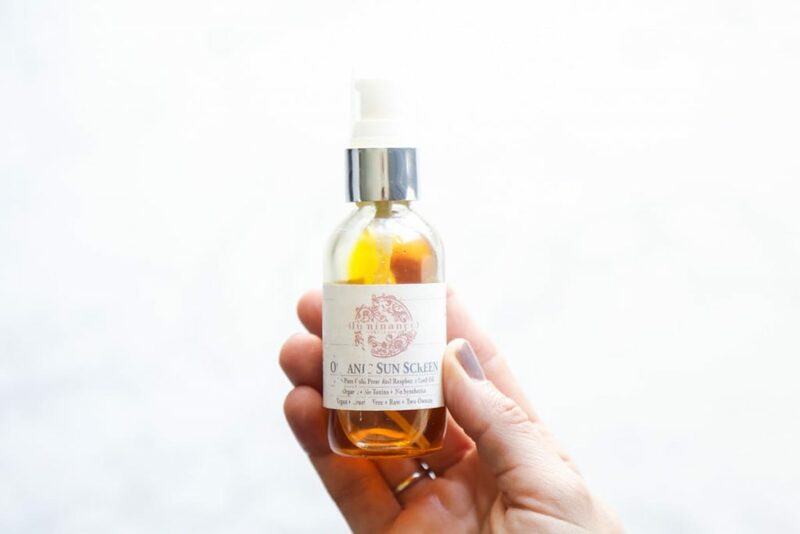 I purchased this sunscreen oil back in August and have been using it on my face ever since. I use this oil underneath my makeup. I was hesitant to recommend this product because I can’t find it on the EWG site or Think Dirty App. I believe this is a newer product from Mineral Fusion (a makeup brand sold at most health food stores and Whole Foods). 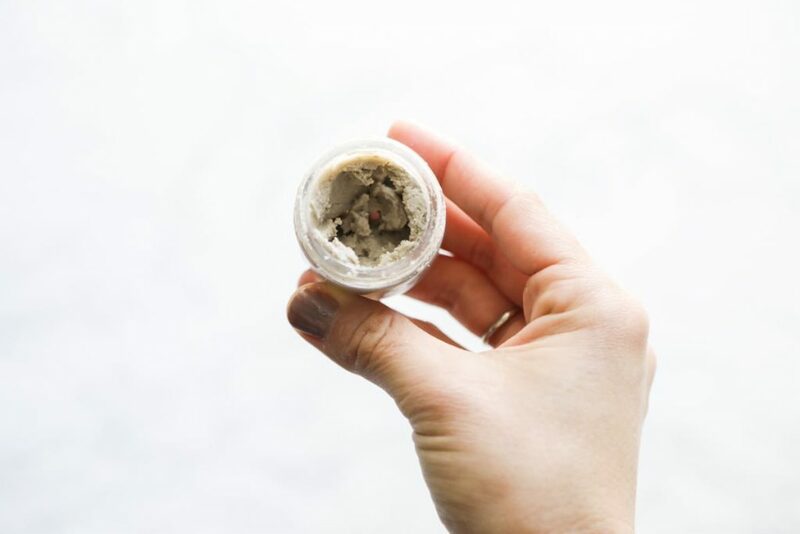 The old Mineral Fusion Face Primer receives a 4 on the Think Dirty App, which compared to most options on the market is pretty good. With that said, I’m really enjoying this primer. I wear more foundation (Crunchi brand at the moment) during the holiday season (parties, events, etc.) and a primer is a great base. My only issue is the pump gets clogged very easily. 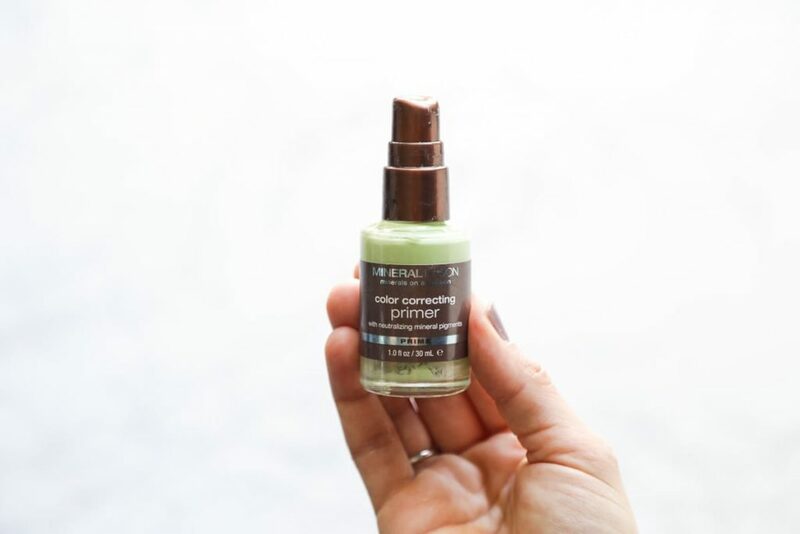 Crunchi also makes a face primer that I would like to try eventually. I blow dry my hair often, because I hate wet hair. It’s a serious pet peeve of mine. When my hair dresser recommended applying 100% argan oil to my ends before using a heat treatment (a blow dryer or curling iron) I had to try it out. I’ve discovered that a little bit goes a very long way. When the right amount is used (a pea-size amount), it seems to make my hair smooth and frizz-free. I reworked my old toothpaste recipe from 2014 and this new Minty Toothpaste 2.0 is the result. It’s minty, fresh, and all the things I want in a good homemade paste. This is my alternative to scented holiday candles. 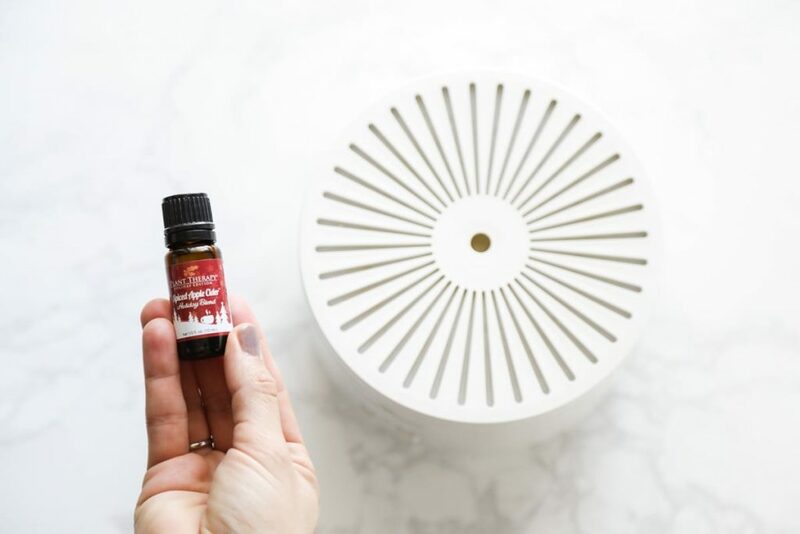 This Spiced Apple Cider Holiday Blend (a blend of essential oils) smells amazing. I use it in my diffuser on a daily basis. Over Thanksgiving break, the kids (with my help) made (rolled) beeswax taper candles. This was my second time making the candles, and their first experience. 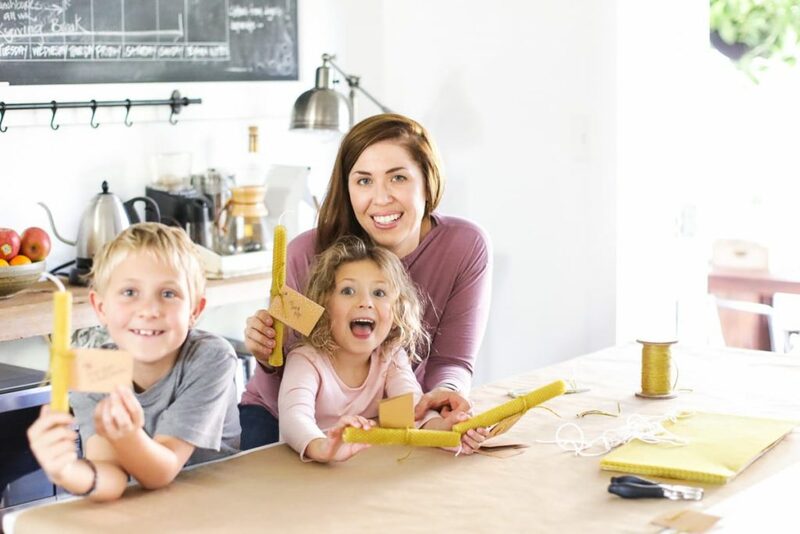 They are so easy to make and our family loved the hand-rolled candles. We’ll definitely do this again for Christmas. We took a different approach with our Christmas tree this year…we let the kids decorate. And I love our tree so much. It’s absolutely perfect for the stage of life we’re currently enjoying. 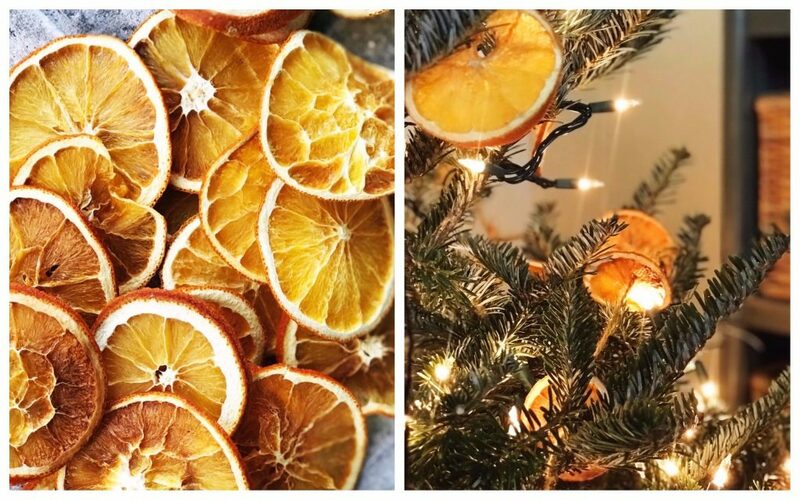 To make the tree extra special, we sliced oranges, placed them on cooling racks, and then dehydrated the slices at 200F for several hours. We used twine to turn the oranges into the prettiest homemade garland for our tree. The kids are so proud of our tree this year, which just makes me smile. I have a lot of mom fails these days, but this feels like a total mom win! This dairy-free coffee creamer is pretty awesome. It does need to be refrigerated, but only after opening the container. I have a few stocked in my pantry (they are sold in a case of four) for times when I don’t have any cream or cashew milk on hand, and I really want coffee creamer. Hazelnut is my favorite flavor. I don’t like the french vanilla flavor. Wow! Can your kids be that big already?? How did that happen? They are beautiful. 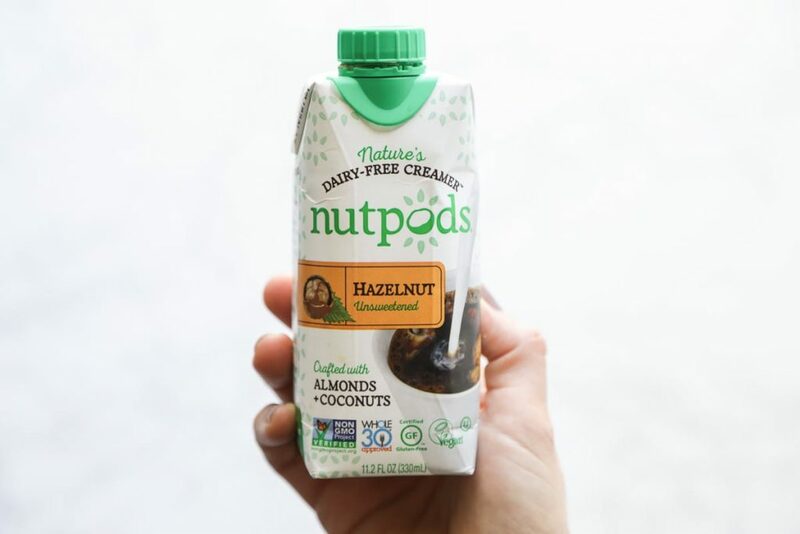 I’ve used the NutPods creamer on and off for the past year, and I agree, the Hazelnut has the best flavor. 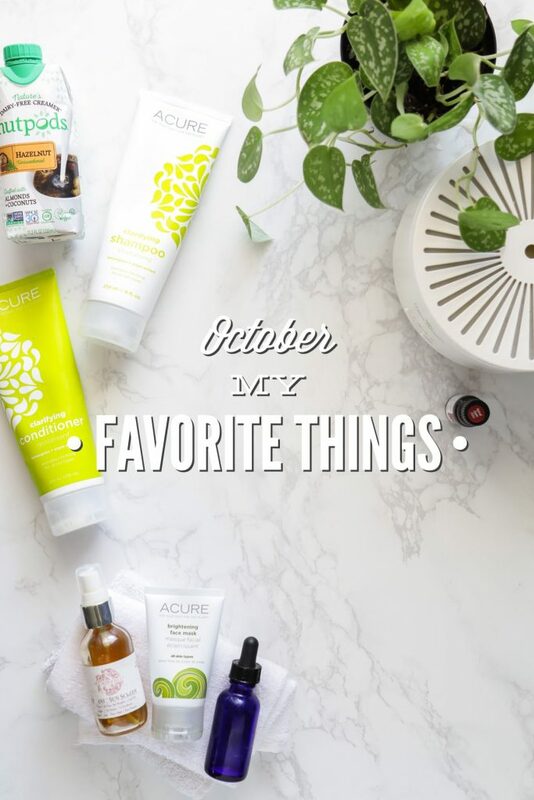 I really enjoy the “favorite things” blog posts. Thanks for sharing. Happy Wednesday. Those are my thoughts every single day ;)…When did these kids get so big?? How did this happen? Thank you so much. 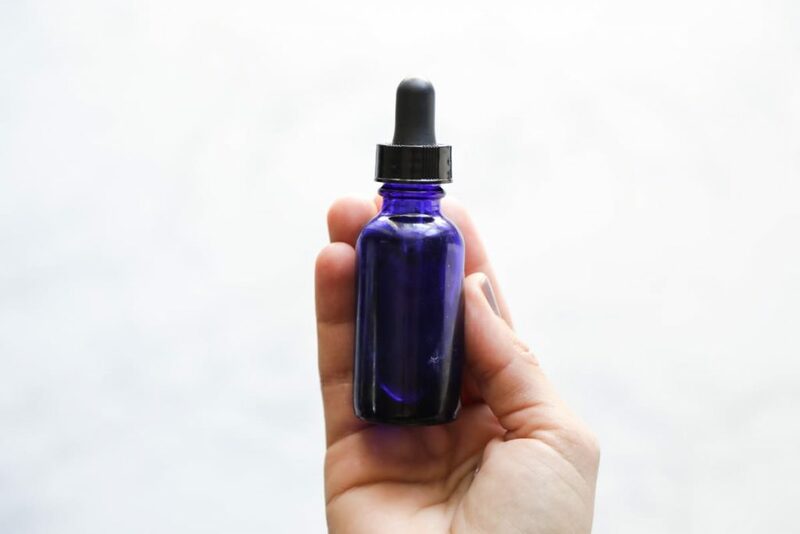 Would you ever consider making the sunscreen oil? And perhaps share your recipe? 🙂 I will most definitely have to. It is over $50 here in Canada, plus shipping! OUCH! Hey Mihela, Ouch, that’s pricey. I think you could definitely make the sunscreen oil. You would just need to combine the oils listed on their product. Maybe I’ll do some experimenting at some point in the future. For the Acure products, try pharmaca.com. Free shipping over $35 and always 25-30% off if you sign up for their emails and wait for the sales. I save a ton (over Whole Foods) just by keeping a running list of things I need and waiting for the 30% off, then stock up. I also purchased the beeswax kit, can’t wait to make some for gifts! Oh wow, that’s amazing, Tamara. I’ll give them a try. Thank you for the suggestion. Wow Kristin! So much fun stuff. I love the cleaning kit from The Optimist! Also, I LOVE the orange garland and beeswax candles. Merry Christmas! Thank you, Liz! Merry Christmas!